It is known that the troops were very fond of of the P-14 station. Serving on her officers were sent as an encouragement. The P-14 radar was a stationary station (although it was the customer of the GRAU of the USSR Ministry of Defense, according to the ideology of which all the truly mobile radar equipment of the USSR and Russia was executed). Radar of the meter range of waves of Nizhny Novgorod Research Institute of Radio Engineering. Radar in the meter range is still the basis of the country's coverage. The Cold War and the still unforgettable Patriotic War demanded the creation of a reliable radar field. This field was supposed to function under conditions of deliberate interference - active and passive. The solution of this problem encountered fundamental difficulties caused by contradictory requirements to the parameters of the probing pulses of the radar. To achieve greater detection range and protection against active interference, it was necessary to increase the average radiation energy. This could be achieved only by increasing the duration of the probing pulses, since the peak power absorbed by that time was already close to the maximum possible. And to achieve high resolution in range and protection from passive interference, on the contrary, it was required to reduce the duration of the probing signals. The compromise values of the duration of the signals no longer satisfied the ever increasing requirements for radar. This contradiction, which seemed insoluble, hampered the development of radar. In the second half of the 1950s. the principal solution to the problem arises - to emit long but so-called complex signals with intrapulse modulation - phase or frequency (with a significant spreading of the signal spectrum). And the coordinated filter of the receiver made compression of signals. Complex probing signals made it possible simultaneously to achieve a high energy potential and protection from active interference (due to the long duration of the probing signal) and high resolution in range and protection from passive interference (by compressing the signal in a matched filter). A complex sounding signal liberated the radar. It allowed to increase the energy potential almost unlimitedly, and at the same time to have an arbitrarily high (within the limits of technical capabilities) resolving power in range. It was a revolution that caused a real radar boom all over the world. The principle of compression of complex signals was proposed back in the 1940s. the last century, but remained unknown until the second half of the 1950s. The first open Western work on this topic belongs to 1958. For radar of a meter wave band, this solution was very promising, as it opened the way to the creation of large-sized antennas. It also allowed not to save space on the dimensions and number of hardware cabinets. In particular, to develop the transmitter and primary nutrition. And the location of all the equipment in a stationary room - a house with a stove and a bunk - was very attractive. And not only for the cold northern and eastern regions, but also for the southern regions, where the room was protected from heat. Due to the stationary construction, the energy potential (the product of the effective antenna area by the transmitter power) radar P-14 has increased in comparison with the P-12 radar, prior to the development (1955), from 12 (m2 • kW) to 500 (m2 • kW. The most complete advantages of stationary construction were realized in radar P-70, which was located in a two-story building. On the roof of the building, a huge mirror antenna rotated on the rubber tracks on a rubber roadway, measuring 48 by 25 meters. The two-channel transmitter had a total average power of 20 kW. The energy potential of the P-70 radar was 17 thousand (m2 • kW). 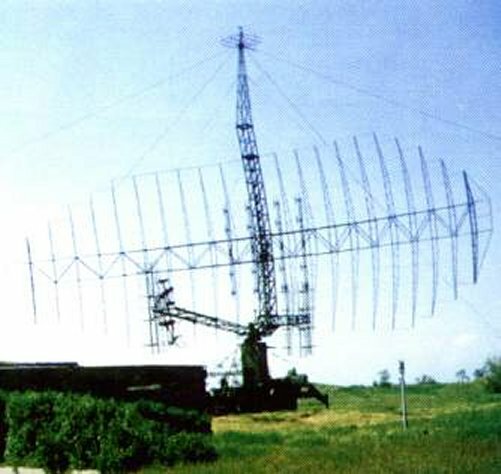 The P-70 radar station (code "Lena-M") was developed during the period 1960-1968, and was intended for work on large strategic open spaces of the border regions of the USSR. This station was the most high-potential locator of radio-technical air defense forces in the whole history of their existence. The P-70 radar operated in a meter wave range. The development of the P-70 radar fells in the heyday of domestic radar. Its creators worked in an atmosphere of great interest and favored by both the customer and the departmental leadership (ministry). The main designer of the P-70 radar was Ovsyannikov Vasily Ivanovich (by that time a laureate of the State and Lenin Prizes of the USSR). Lenin Prize VI Ovsyannikov. received as the chief designer of the beautiful radar P-14 (cipher "Lena", the tests of the radar were in 1959), the modifications of which are still one of the main on-duty means of the radar field of the RTV of the Russian Air Force. The design of the P-70 radar began in 1960, when ideas related to complex signals were just beginning to be mastered by developers. The issue of creating an industrial model was not yet ripe by that time. Therefore, in the technical design of the P-70 radar, the radar with simple signals was considered as the main option. And the resolution of the contradiction between the requirements of considerable range and high resolution in range was proposed to be overcome by the two-channel construction of a radar: a short-pulse and long-pulse channels operating simultaneously on one antenna with two polarizations. Such a construction, supported by a full-size working mockup at the enterprise's landfill, provided the solution of the problem, but had a serious drawback: in a combined interference, a low-energy channel with short pulses was amazed by active interference, and a high-energy channel with long pulses was a passive hindrance.